Parking problems on roads around the AMRC Training Centre in Rotherham are set to be addressed by plans to extend the car park by 70 spaces. And the planning application hints at a 31,300 sq ft extension which would double the size of the centre to meet demand. 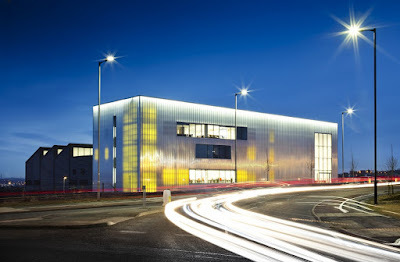 The AMRC Training Centre is a £20.5m centre on the Advanced Manufacturing Park (AMP) where the focus is on students aged from 16 upwards, taken on paid apprenticeships. Part of the The University of Sheffield Advanced Manufacturing Research Centre (AMRC) with Boeing, apprentices have opportunities to progress on to postgraduate courses, doctorates and MBA levels. Sponsoring companies range from global leaders such as Rolls-Royce and McLaren to local high-tech supply-chain companies. Since taking on its first 140 apprentices in autumn 2013, the centre has grown rapidly into an award-winning centre of excellence. It has trained more than 1,000 apprentices for 250 companies in the region. 216 apprentices started in September 2017. Access and car parking is taken from the rear of the building, at Stephenson Way, which forms part of the access to the new residential community of Waverley. 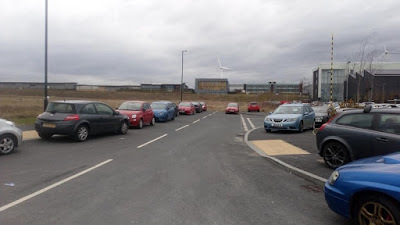 A planning application for The AMRC, submitted by agents at DLP Planning, states: "The current car park cannot meet the demand of car parking spaces. "The success of the Training Centre will require the facility to expand in the future. In the meantime, it is clear that there has been an overwhelming demand for vehicle car parking at the facility. This has resulted in visitors utilising the local highways to park their vehicles. These streets have become heavily congested during the day and increasingly difficult for residents and other vehicles to manoeuvre through the local highways network." If approved, the proposals would add 70 spaces to the 67 current spaces at the training centre and double the number of accessible spaces to eight. The plans add that "Additional car parking at this time will not prejudice the planned expansion of the Training Centre. An additional 3,000 sq m of built form, extended service yard and additional access points can be provided in future. Further vehicle parking provision can also be accommodated as part of that next stage of development." Land surrounding the training centre has been earmarked for development. Planning permission has been approved for the mixed-use retail development to create a local centre for Waverley. A pre-application enquiry has been submitted on behalf of Hope City Church regarding proposals for a large place of worship and conference facility.